FORSYTH -- Sidney Paulsen Smith, 91, of Forsyth, passed away April 12, 2019, surrounded by family in his home. Sid was born in Lake Forest, IL on March 10, 1928, son of Sidney and Emma (Paulsen) Smith. Sid graduated from Lake Forest High School and enlisted in the United States Marine Corps in 1946. He served in the USMC Fire Department, Quantico, VA during his enlistment. Following his service, he enrolled at Millikin University, where he joined the men’s fraternity, Delta Sigma Phi. With the outbreak of the Korean War, he was recalled to active duty and served from 1951-52 as a Drill Instructor at Parris Island, SC attaining the rank of Sergeant. Upon his second discharge he resumed his studies in Industrial Engineering at Millikin, receiving a Bachelors Degree in 1954. While at Millikin, he met Patricia Talbert and they married on December 19, 1953. After graduation, Sid and Pat made their home in the Decatur area. Sid went to work for Caterpillar Tractor in 1957 and was employed in a number of capacities, retiring in 1986 as a Manager in Purchasing. Sid was a member of First United Methodist Church where he was active in the Covenant Class and church life. He was active in the Boy Scouts and served on the advisory board for Troop 11. He had strong ties with family and friends. He was an avid dog lover and greatly enjoyed gardening, and his beloved north woods cabin. After retirement Sid and Pat enjoyed travel with Elderhostel and volunteered with Meals on Wheels. Mr. Smith was preceded in death by his wife, Patricia, his parents, and a brother, Edward. He is survived by his brother, Lawrence, two sons, Sidney Smith of Lake Forest, IL, Daniel (Theresa) Smith of Nederland, CO, and a daughter, Susan (Jeffrey) Freeman of Decatur, IL, together with four grandchildren, seven great grandchildren and many nieces and nephews. Memorials may be made to Meals on Wheels, The Humane Society, or First United Methodist Church. Semper Fi. 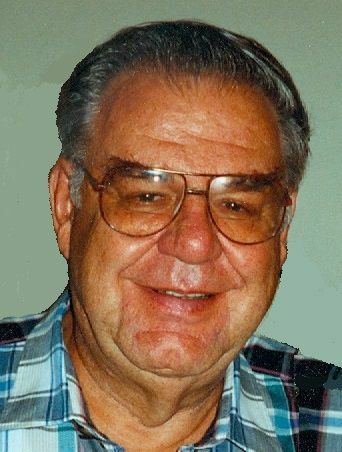 GRAESSLE, Horst, 81, Decatur, died Friday (April 12, 2019). Graceland/Fairlawn Funeral Home. MOUNT AUBURN -- Chartha Swingle, 77, passed away Tuesday April 2, 2019, at home in Mt. Auburn, Il. Chartha was the daughter of Marcella and Milton "Bud" French. She was born April 8th 1941 in Mt. Pulaski. She married John Swingle November 13th, 1960. Chartha worked at Cohens Furniture in Peoria, Il and owned a restaurant. She loved dressing up and going out with her friends who were so much a part of her life. Chartha never met a stranger and loved to talk. She is survived by 3 children, Daughters, Stacy Gallick and Lori Swingle and Son, Jerry Swingle. Sister in law Pat French, Nephew Aaron French and Niece Amanda Viani. She was preceded in death by her parents and brother, Steve French. There will be a Celebration of Life for Chartha, date to be determined. WRIGHT, Rodney E. "Butch," 65, Ramsey, 2 p.m. in Miller Funeral Home, Ramsey. DECATUR -- Edna Freeman, 89, of Decatur passed away on Tuesaday, April 2, 2019 at Decatur Memorial Hospital. Services will be 12:00 Noon April 15, 2019 at the Greater Northside Missionary Baptist Church with visitation one hour before service.